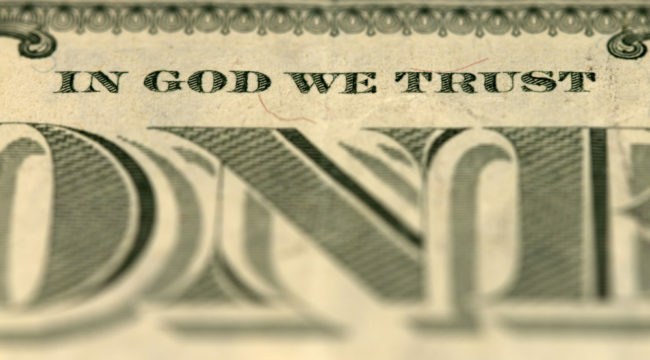 Does God Control the Stock Market? God doesn’t play dice with the universe said Einstein, famously. But does He play dice with the stock market? Today we straddle the boundaries of reality… challenge logic itself… and enter a strange netherworld of black swans and fat tails. The Dow Jones plunged an impossible 22.6% that distant autumn day… its largest one-day drop in history. By all things holy, it never should have happened. Not in the sense that regulators were snoozing on the job. Or that some emergency tripwire failed to trip. No — Black Monday literally never should have happened. It was almost statistically impossible. Charlie Bilello is director of research at Pension Partners LLC. Flip a coin 1,000 times. Statistics says it should turn up heads half the time — roughly. If it’s heads, say, 537 times, it may be one standard deviation from the average. 616 heads may represent another standard deviation. But what if it’s heads 983 times of the thousand? You have left logic behind… slipped reality’s leash… and crossed into the Twilight Zone. Probability theory suggests the chances of a five-standard deviation event are “essentially zero” on any given day, Bilello says. What in bloody blue blazes do we make of a 17-standard deviation event? For this was Black Monday — a 17-standard deviation event. It never should have happened in the history of the universe. Yet it did… one October day in 1987. You will see the overwhelming majority of events fall within the first few standard deviations. Now… note the distance you must travel out on the bell curve, out to the hazy boundary of fact and fiction, to encounter a 17-standard deviation event. Did God load the dice that black Monday? Perhaps He was in a frolicsome mood… and a spirit of mischief entered into Him. Maybe He was out to remind an increasingly disbelieving humanity who really runs the show. Or perhaps — we cannot dismiss the possibility — God was short the market and needed the Dow Jones to plummet 22% to finish in the money. Is God necessarily above temptation? Perhaps markets are somehow more susceptible to “black swans” or “fat tail” events than the laws of chance suggest. 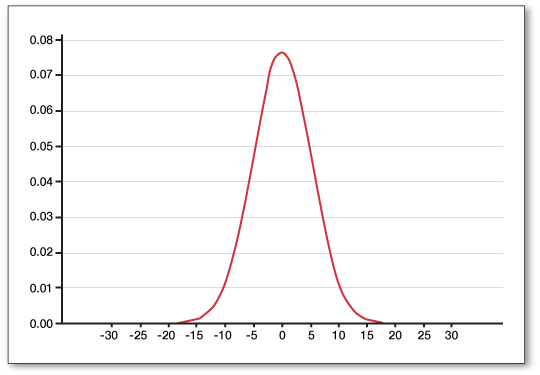 [Markets] operate in the world of fat tails, exhibiting large skewness… This is a fancy way of saying extreme events (high-standard deviation or “sigma” moves) are much more likely to occur than a normal distribution would predict. Jim Rickards pioneered the study of complexity theory and its applications to markets. This kind of sudden, unexpected crash that seems to emerge from nowhere is entirely consistent with the predictions of complexity theory. Increasing market scale correlates with exponentially larger market collapses… As systemic scale is increased by derivatives, systemic risk grows exponentially. Jim points to the skunk in the woodpile: derivatives. Derivatives are securities based on — “derived” from — the value of an underlying asset. A stock option is a derivative, for example. Its value is derived from the underlying stock. Derivatives are used to hedge investments. Or to speculate. And when enough of these bets go wrong, the entire financial system can collapse… like a mighty skyscraper erected upon shifting sands. The Bank for International Settlements estimates the global derivatives market at $542 trillion — nearly seven times global GDP — and much larger than in 2008. With Jim Rickards’ “complexity multiplier,” could it be that risk in today’s globalized market is not just higher… but exponentially higher? Globalization creates interlocking fragility, while reducing volatility and giving the appearance of stability. In other words it creates devastating black swans. We have never lived before under the threat of a global collapse… True, we now have fewer failures, but when they occur… I shiver at the thought.